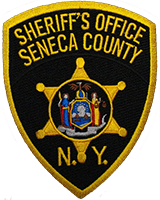 On November 21, 2018, at about 10:14am, Seneca County Sheriff’s Office Investigators arrested William L. Hildreth, age 59, and Tammy Havemann, age 48, both of 4365 West Seneca Road, Trumansburg, New York, following a welfare fraud investigation. Both Hildreth and Havemann were charged with Welfare Fraud in the Fifth Degree, Offering a False Instrument for Filing, and Misuse of Food Stamps. It is alleged that the two failed to disclose household income while receiving benefits from Seneca County. Hildreth and Havemann were issued appearance tickets and are to appear in the Waterloo Village Court on December 5, 2018 at 5:00pm.